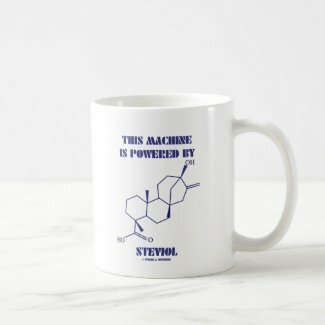 Are you powered by sugar substitutes? 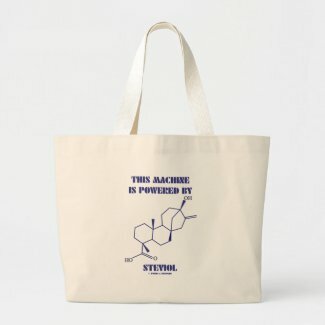 No need to be a chemistry major or a sugar addict to showcase steviol, which is from the stevia plant, with any of these chemical molecule gifts! 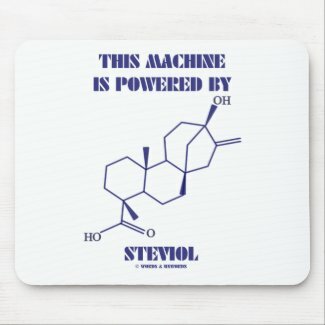 Says: "This Machine Is Powered By Steviol", along with the steviol molecule. 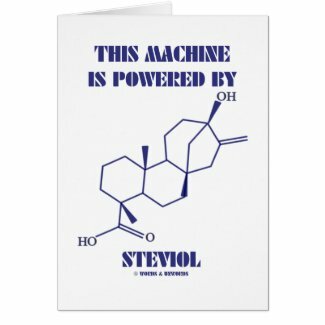 Remember: Derivatives of steviol are considered 250 to 300 times sweeter than sugar! Make others do a double-take about exactly what powers you! 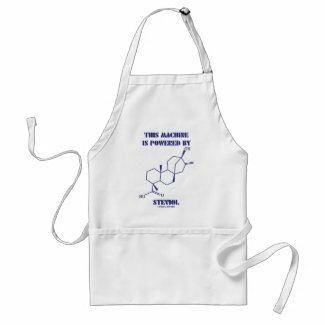 Make your own personalised aprons from zazzle.com.